We’re well aware by now that springtime in Pittsburgh does not mean averages in the 60s and the joyous abandonment of outerwear. Rather, the trademark volatility of our weather means you keep snow boots next to your flip-flops until early May or so. But that’s okay – even the coldest of April days are a vast improvement from January and February’s lows in the negatives. Just the fact that there are some degrees outside – any degrees at all – is a reason to finally get back out into the world. As you’re easing out of hibernation, you may only have the motivation to explore the parts of the world that are closest to campus. That’s totally okay! Just get out there. Now that dressing for exposure to the outdoors takes fewer than twenty minutes and involves only a single pair of socks, you have no excuses. For you less transit-inclined folk, we’ve got plenty of excitement right here. These seem like obvious ones, but you would be surprised (and saddened) by how many upperclassmen still haven’t done some of the quintessential Oakland things. 1. Go to Phipps. Seriously, please go. It’s right there. It’s lovely. It’s free with your Pitt I.D. If you haven’t been yet, this should be first on your list. If you have, go anyway. Their new Spring Flower Show runs until April 12th and promises “plenty of special botanical surprises.” Get excited. 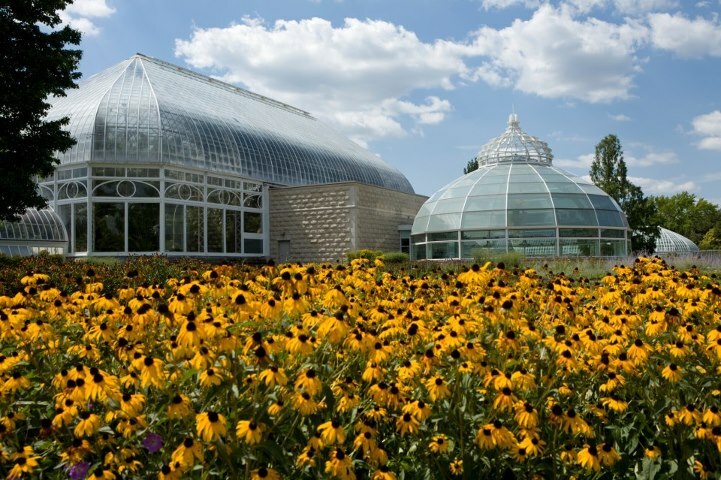 If it’s nice enough out, you can even take a post-Phipps stroll through Schenley Park. 2. Be cultured (or at least pretend to be) at the Carnegie Museums of Art and Natural History. 3. Hang out in Schenley Plaza. Schenley Plaza is undeniably cool, particularly when the sun emerges and eager college students turn the large expanse of grass into Schenley Beach. Though it’s not quite time to break out the swimsuits and towels, the plaza can be just as enjoyable fully clothed. In addition to The Porch, you’ll find four fantastic food kiosks (yep, kiosks): Asia Tea House, Opa Gyros, Conflict Kitchen, and Waffalonia. I’m hoping you’ve tried them at least once and you don’t need me to rant about how amazing they are. So grab a bite, plop down at a table with a prime view of the Cathedral, and take it all in. Shadyside and Squirrel Hill are both just a hop, skip, and a jump away from campus. I recommend just taking the bus, though. 4. Do real-person things on Walnut Street. It’s easy to lose touch with the finer things in life when you’re in college. Or else, your definition of “finer things” becomes substantially broader, and comes to include things like making Kraft Mac and Cheese on the stove rather than in one of those toddler-sized, microwavable cancer bowls (seriously, what is that white powder stuff… what is it). Sometimes you just need to be reminded that there is still beauty and civility in the world, and that’s when you go to Shadyside. Wander among the upscale stores and restaurants of Walnut Street and notice even your most haunting mental images of South Oakland street trash drifting away. While you’re there, try America’s best cake at Prantl’s, enjoy the garage-door storefront of Coffee Tree Roasters (which they open when it’s warm out), and get lost in Kards Unlimited. 5. …or old-timey things in Squirrel Hill. Alright, maybe “old-timey” is a little much. Retro, though, definitely. Squirrel Hill features one of the country’s largest record stores, Jerry’s Records (and also one of the best, if you believe Rolling Stone). You can also catch a movie at the cozy and historic Manor Theater, or bowl 1950s-style at Forward Lanes. And though the neighborhood is packed with delicious foodstuffs, it would be worth the trip just to eat a traditional macaron from Gaby et Jules.